With debit and credit cards accounting for more than 50% of the sales in a typical business, it has become a must for any retail company to accept them. 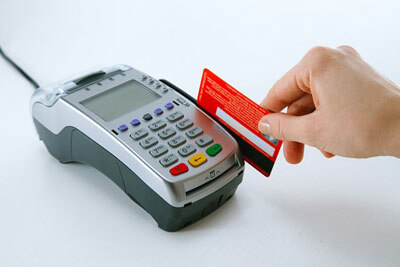 Many customers have come to expect to be able to use their credit cards and debit cards anywhere. Whether you are a business just starting out or have an existing business, you can trust Concorde Bank to provide the right solution for all your electronic payment processing needs. Convenient for both you and your customer. Cost effective with no annual fee and an easy to understand cost structure. Personalized customer service to fit your business needs. Trouble free because time is your most valuable asset.